When Mannenberg's creators first tried to sell the tune to producers in Johannesburg, nobody was interested. They went ahead and made demo copies themselves, which they sold over the counter at Rashid Vally's cult record store. "When I [Elliot Makhanya] was a rookie entertainment reporter, I was given an album to review. 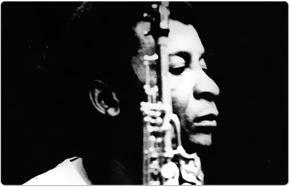 And that album was Abdullah Ibrahim's Mannenberg, featuring Basil Coetzee on saxophone. I excitedly dashed home and placed the LP (there were no compact discs at the time) on my rickety turntable. The sound that emerged from the turntable was awful. And instead of blaming my beloved turntable, I turned the heat on the album. I didn't give it a ghost of a chance to survive the competitive market. And what happened? The LP went on to achieve gold and platinum status. The townships were musically set on fire by Ibrahim, and Basil Coetzee on saxophone." "According to Mr Vally, in 1974 they sold about 5 000 units of Mannenberg from his shop, because the record companies did not want to assist them. They sold each LP for R8.89. Later, the song was produced in different formats, for example, cassettes and compact discs. He reckons, cautiously though, that the song could by now have sold close to one million units, considering that six or seven years ago it was produced as part of the Best of Abdullah Ibrahim. He strongly believes that it has achieved double-platinum status." "[Abdullah] Ibrahim describes the album as, in many ways, a follow-up to Mannenberg, the late-1970s release which first etched this artist into the popular consciousness of South Africans and the world. Mannenberg, the single, was a jazz composition that turned into a true pop song, gracing several pop charts..."
"So now we're in Johannesburg, nobody wants it [Mannenberg]. Rashid [Vally] has this little record shop... So I say to Rashid, 'Why don't we just make demos and put loudspeakers outside and play them?' We sold 10 000 over the counter without covers. We sold 10 000 in two weeks, without covers - it was incredible!"